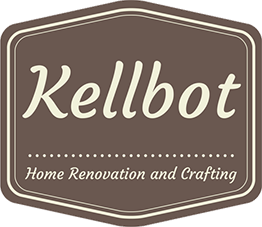 Batch Processing - Kellbot! | Kellbot! Cooking in big batches and then freezing meals has long been the strategy of folks looking to save time and money, but it wasn’t until this week I finally sat down and did it. A lot of the cooking strategies and recipes I’m using come from Don’t Panic! Dinner’s in the Freezer. It’s a good book on batch cooking and freezing. None of it is earth shattering, but it’s a good starting place for those overwhelmed by the thought of cooking. People like me. Cheap. Fast. Good. is also a good source for inexpensive recipes, and includes tips for the culinarily incompetent like myself. I made a double batch of Buttermilk Herb Chicken from Don’t Panic and a triple batch of Shipwreck Skillet (beef dish) from Cheap. Fast. Good. The buttermilk herb chicken is easy to prepare. You cut boneless chicken breast into single-portion chunks and then place it in freezer bags with the buttermilk marinade. There’s no cooking on prep day. When you’re ready to eat it (any time within the next 4 months) you thaw it out, discard the marinade, and cook the chicken on the grill or stove. It’s not an instant meal, but it’s a pretty low-thought meal when paired with some veggies (fresh, frozen, or canned) and instant mashed potatoes. Cook the rice in your rice cooker along with the bullion cube, for tasty beefy rice. Throw the onions into the wok then slowly add the ground beef, breaking it up as you go along. When the beef is browned, drain off the excess fat. Return meat to wok. Add the worcestershire sauce, garlic, and salt. At this point, I set aside 1/3 the recipe for flash freezing. I wanted to freeze some without the rice so I could compare how it tastes with fresh vs frozen rice. Flash freezing is simple. Spread the meat and veggies out on a tinfoil-lined cookie sheet, cover with plastic wrap, and place in the freezer for about 30 minutes. This will freeze everything enough that when you transfer it to a freezer bag it won’t all solidify into a giant block of ice. The rice was mixed into the remaining 2/3, and half of that was flash frozen as well. I was left with 4 servings, two of which we ate for dinner and the rest we put in the fridge for lunch later this week. In total I prepared 14 meals for two (28 servings), with an average cost of ~$1.25 / serving. A huge part of keeping the cost down is to shop loss leaders, and shop them hard. Most people don’t need 10+ pounds of meat all at once, but freezing it into single-meal portions makes it manageable. Ah, I didn’t know about the flash freezing method, that is quite awesome.